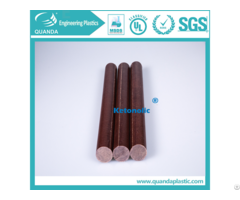 This laminated product is formed through heat pressing after electric industry alkali glass cloth dips into the epoxy phenolic resin. 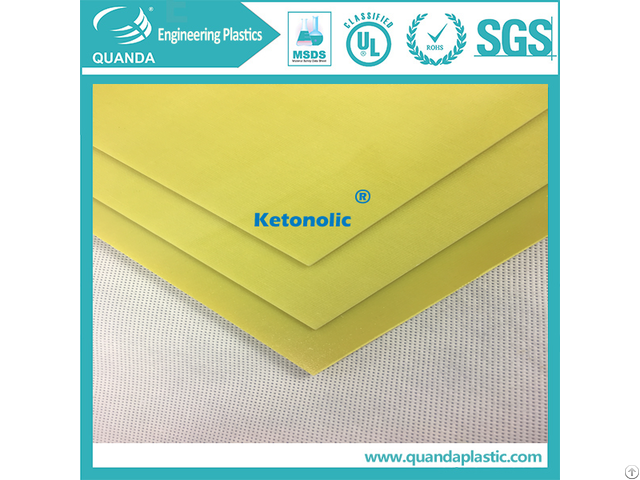 It has high mechanic and dielectric performance, and applicable as insulation structural components for electromechanical/electri cal equipment, as well as used under damp environmental conditions and transformer oil . 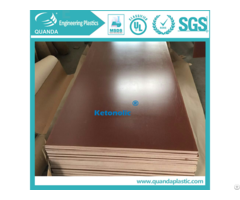 The surface of laminated board should be flat and smooth, no bubble, no wrinkle, no delamination or crackle and properly free from other defects such as scrape, impress, dirty spot and uneven color, but a little color patches is allowed. 1.Chemical machinery parts, general machinery parts. 2.Gears, generators, pads, bases, baffles, generator, transformer, fixture inverter, motor and electric insulation component. 3.Distribution box, fixture board, the mould plate, high and low voltage distribution box, packing machine insulation parts. 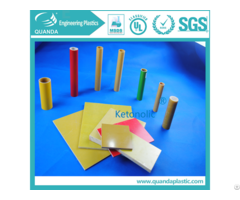 Business Description: Quanda Plastic,we are well-known for manuafacturig and providing engieering plasyics,ESD plastics,fluroplastic, thermosetting platics,as well as fabrication service.